The Bridgeport Centennial half dollar was coined in 1936 to commemorate 100 years since the incorporation of the city (which was actually founded nearly 200 years earlier in 1639.) While P.T. Barnum is featured prominently on the obverse of the coin, it’s the city, not the man, being honored. 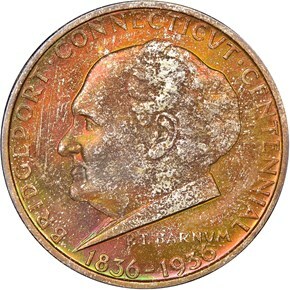 Barnum merely called the city his home, but the group of civic leaders which organized the commemorative, Bridgeport Centennial, Inc. knew Barnum’s image would help sell coins. 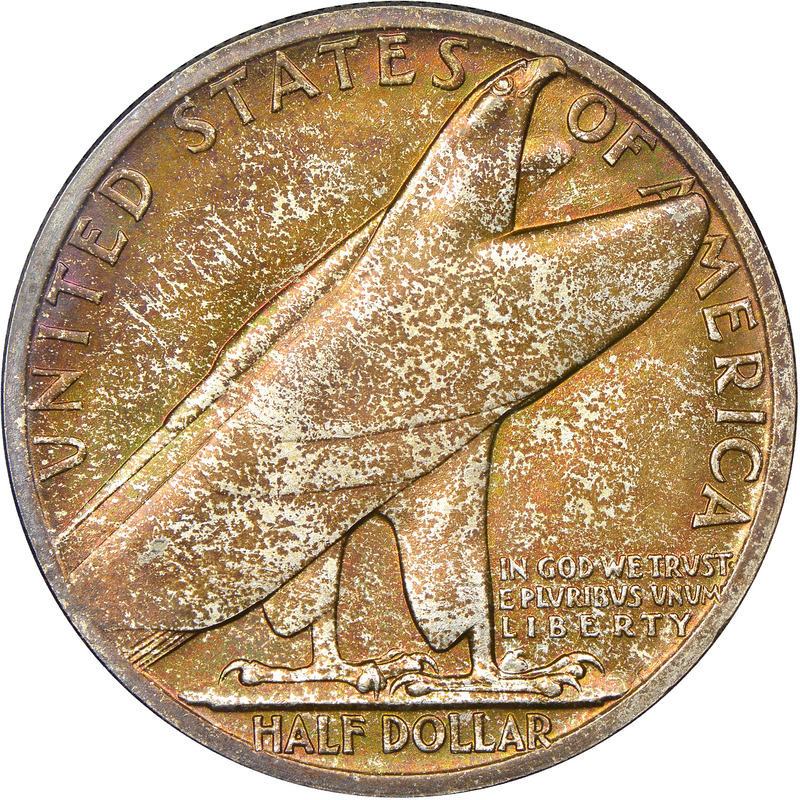 Unlike other commemorative issues of this era, the May 15th, 1936 bill which authorized the coin only called for a single design, date, and mint-mark. This is in stark opposition to the serialized commemorative issues that were all the rage at the time. Sculptor Henry G. Kreiss, who also designed the Connecticut Tercentenary the year before, was selected to design both sides of the coin. As he had already designed a coin the previous year, the Commission of Fine Arts only had to make minor changes to his designs. In September, 25,000 pieces were struck at the Philadelphia Mint. The coins were distributed for $2 each through the First National Bank and Trust Co. as well as select other banks. Even though the Bridgeport half had a high release price and arrived after most centennial celebrations, the coin sold well with the public and collectors alike. 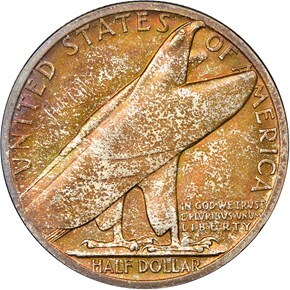 The few thousand left over at the end were wholesaled to dealers, and hoards of this coin remained intact as late as 1972. None were ever returned for melting, so the net mintage for this type is 25,000.